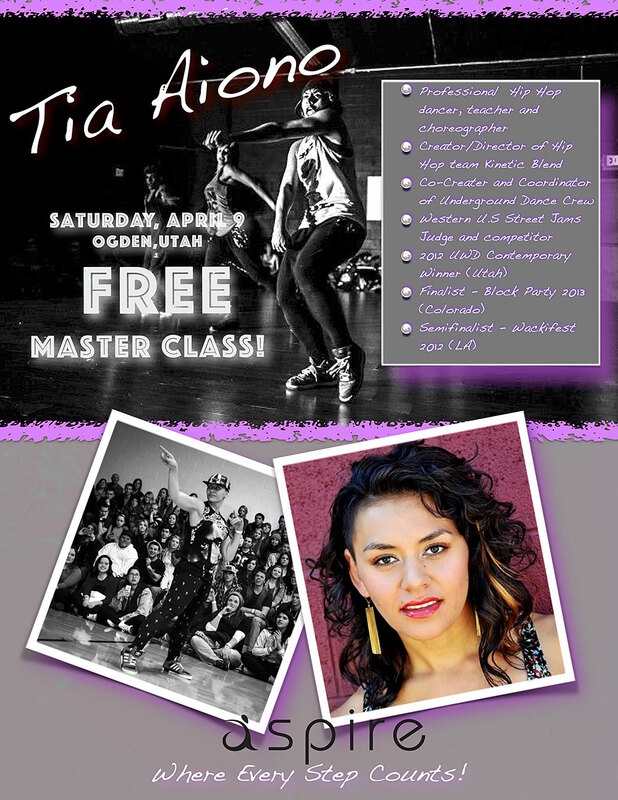 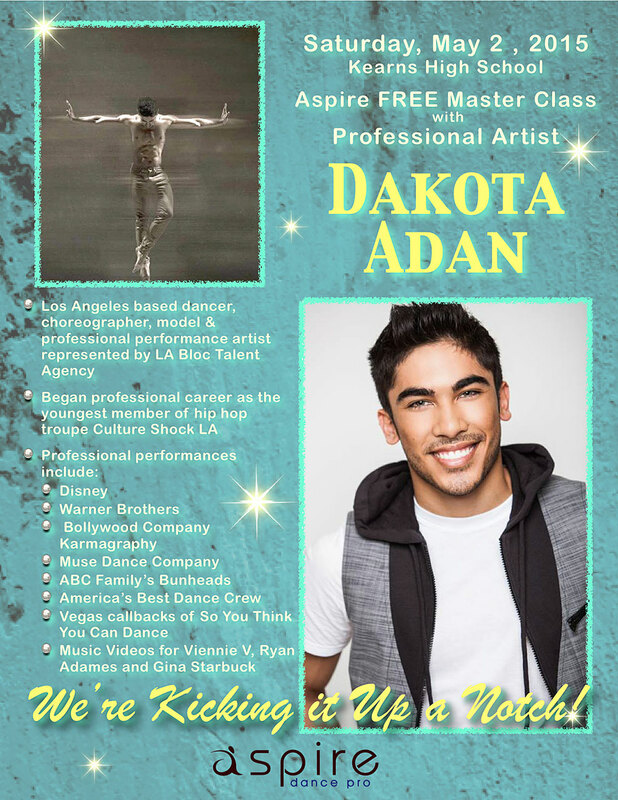 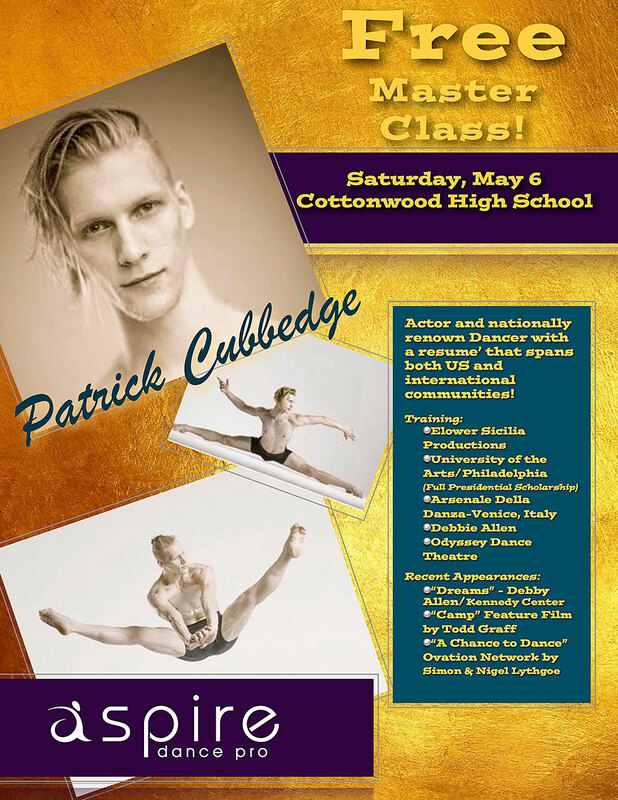 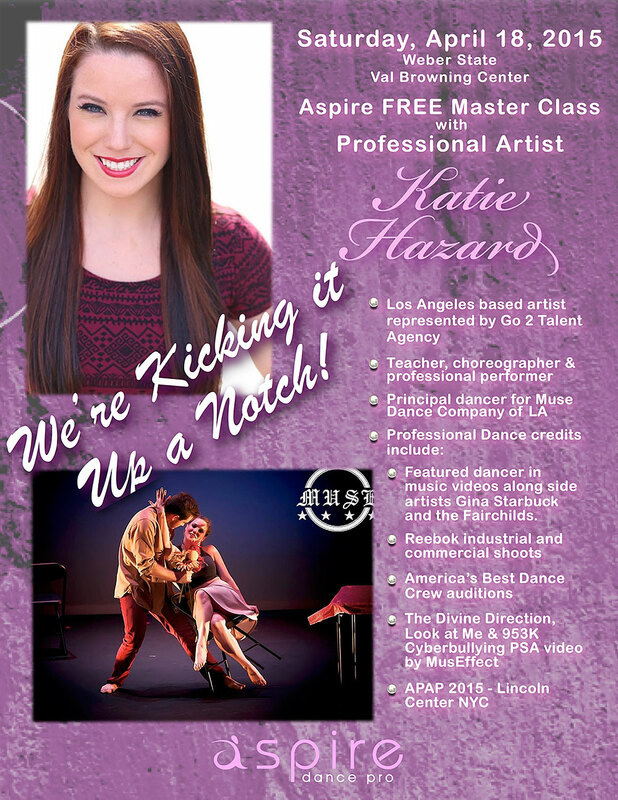 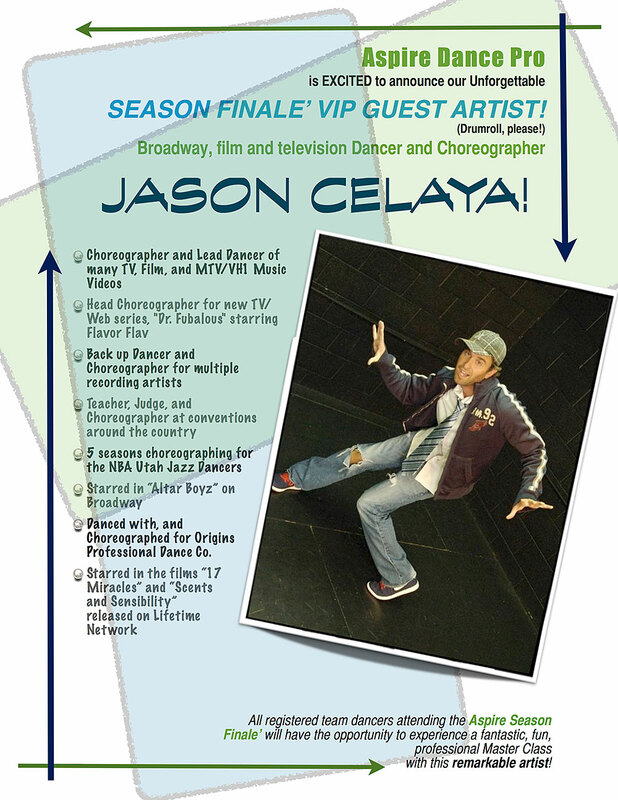 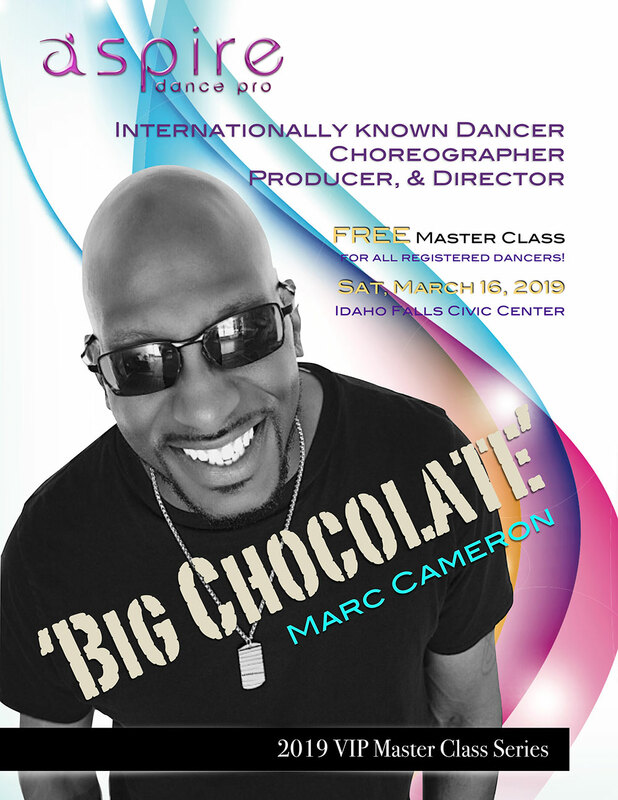 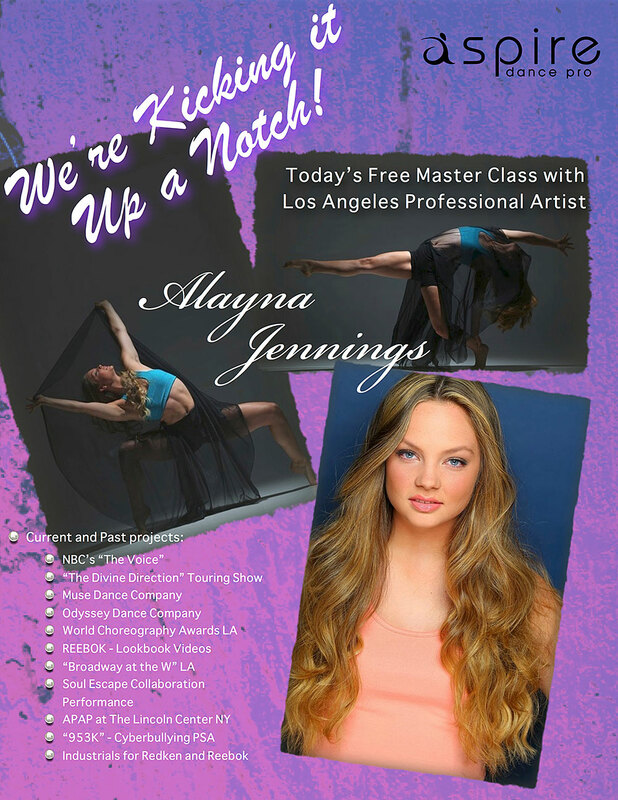 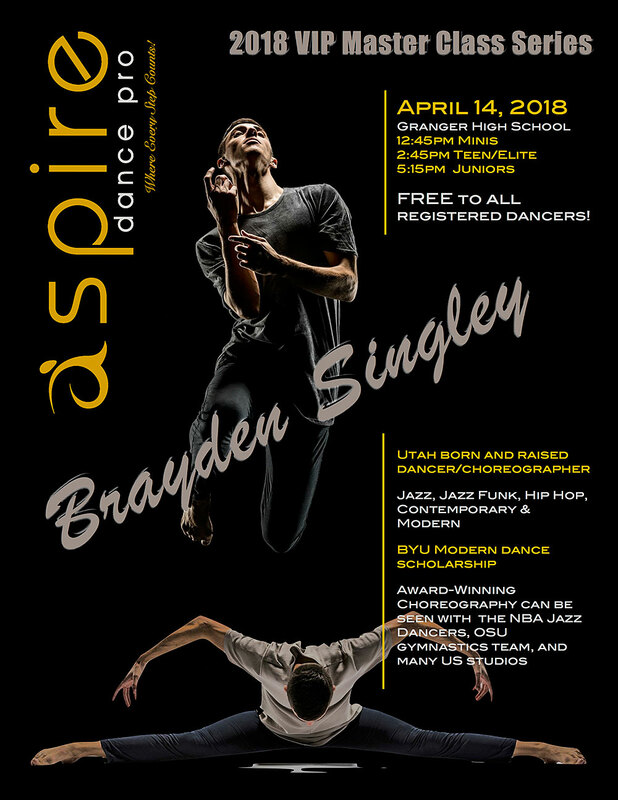 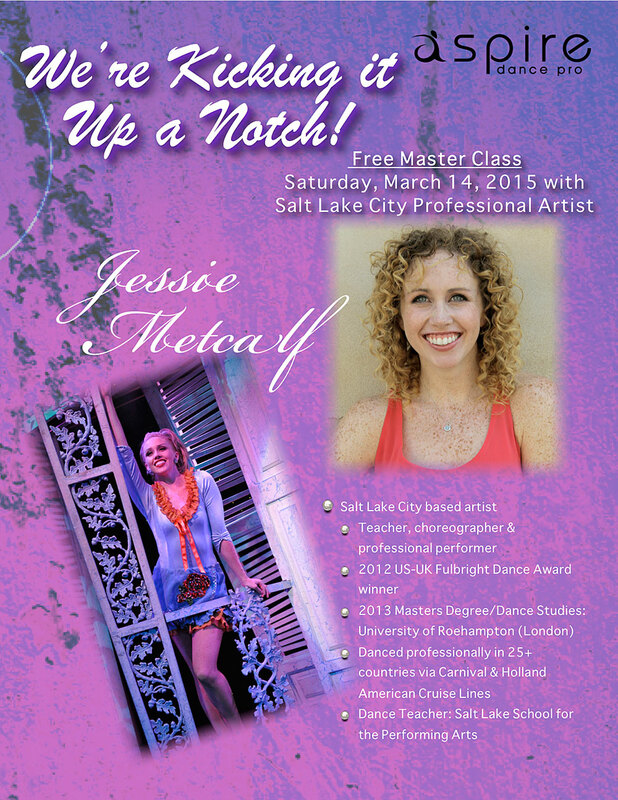 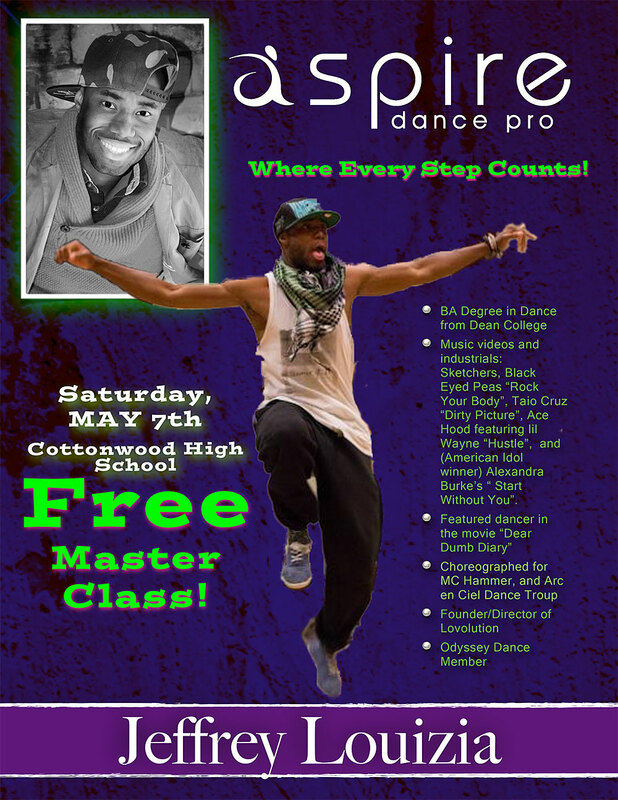 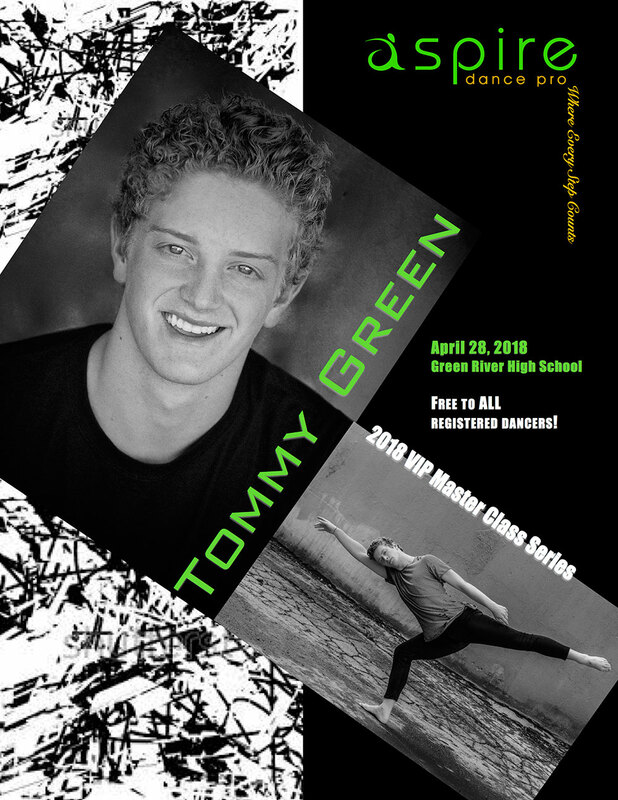 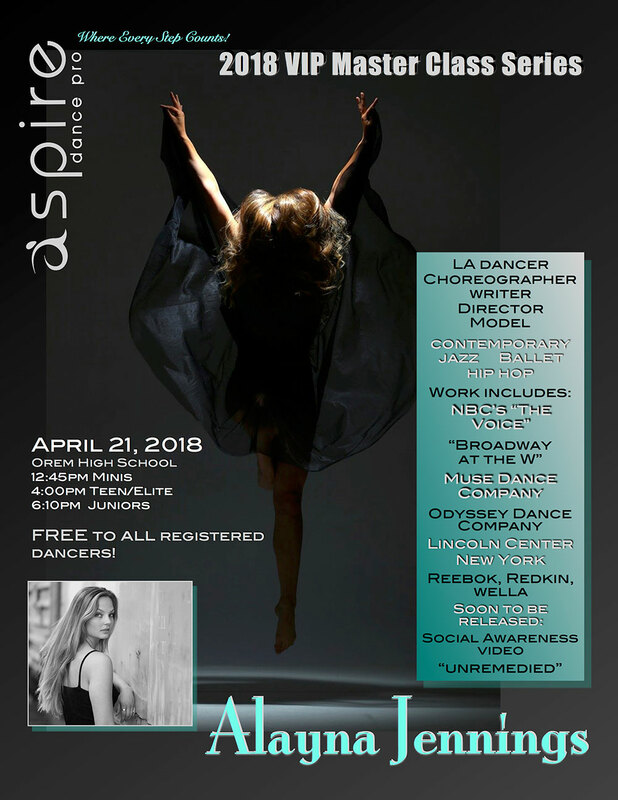 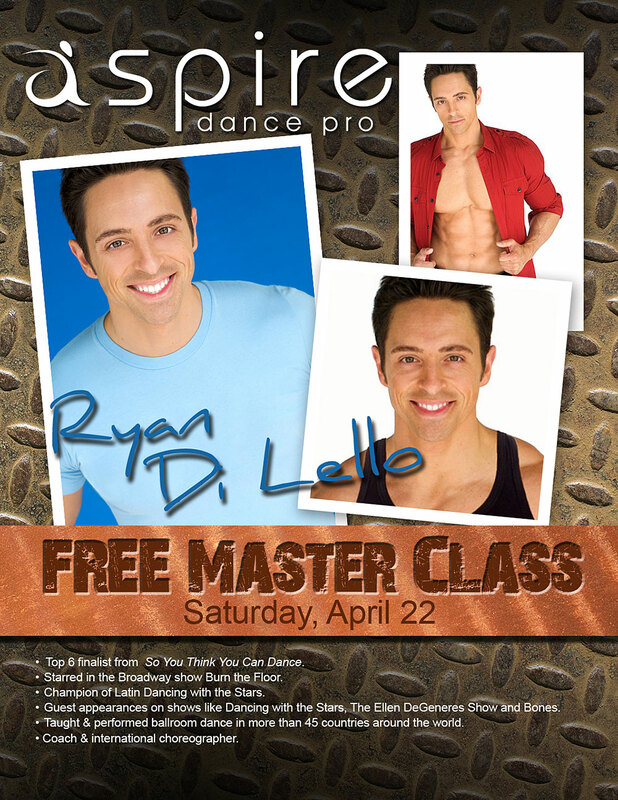 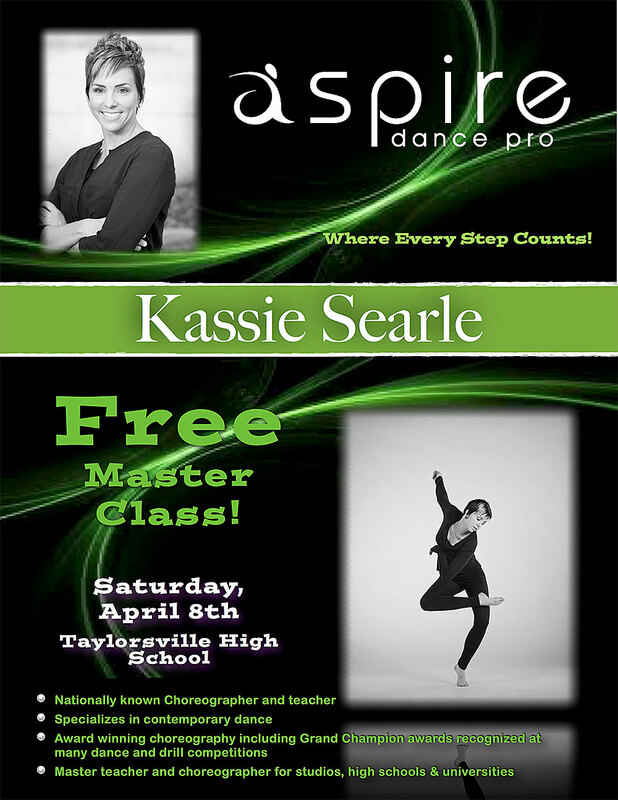 Every Aspire Dance Pro Competition features a FREE Master Class with top professional dancers and/or choreographers from Utah, Los Angeles and more. 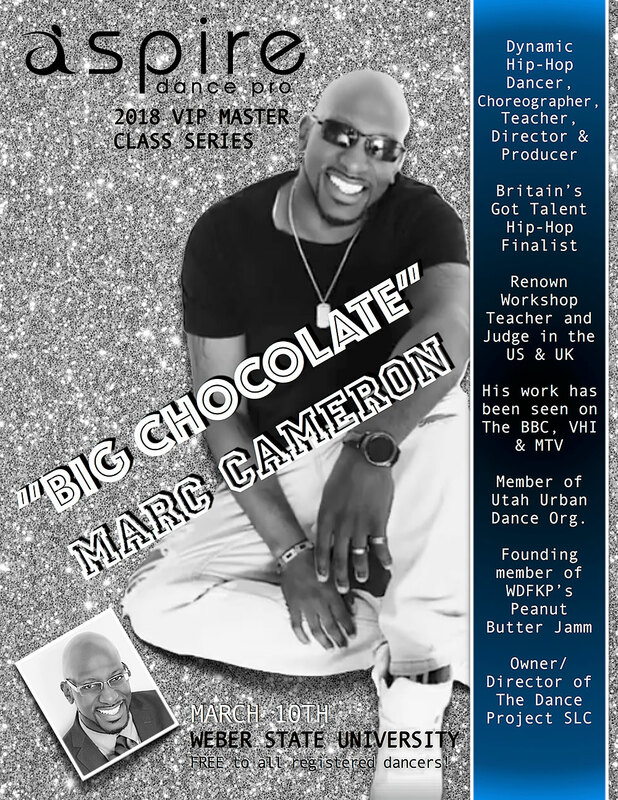 Whichever competition you attend, you can be sure to have a fun and exciting Master Class to enhance your competition experience. 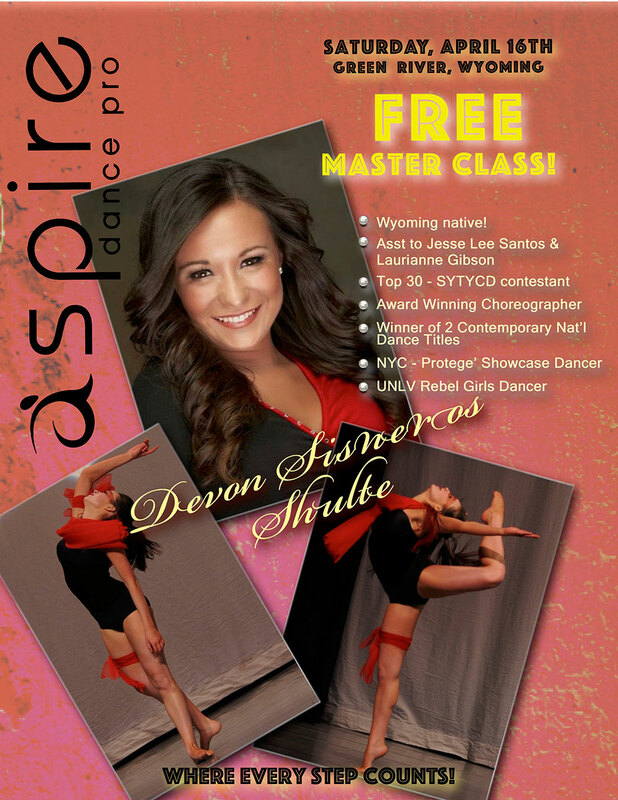 All Master Classes are taught on Saturday mornings and afternoons during the team competitions. 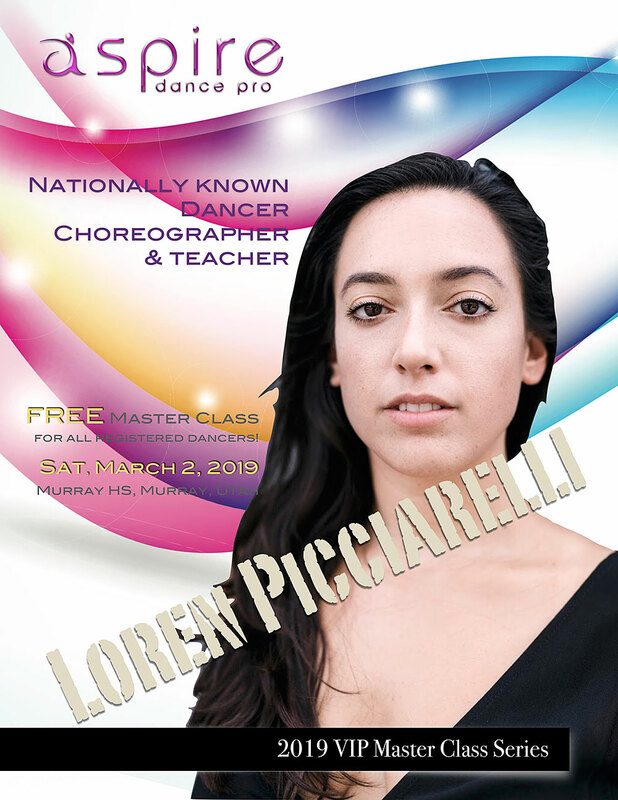 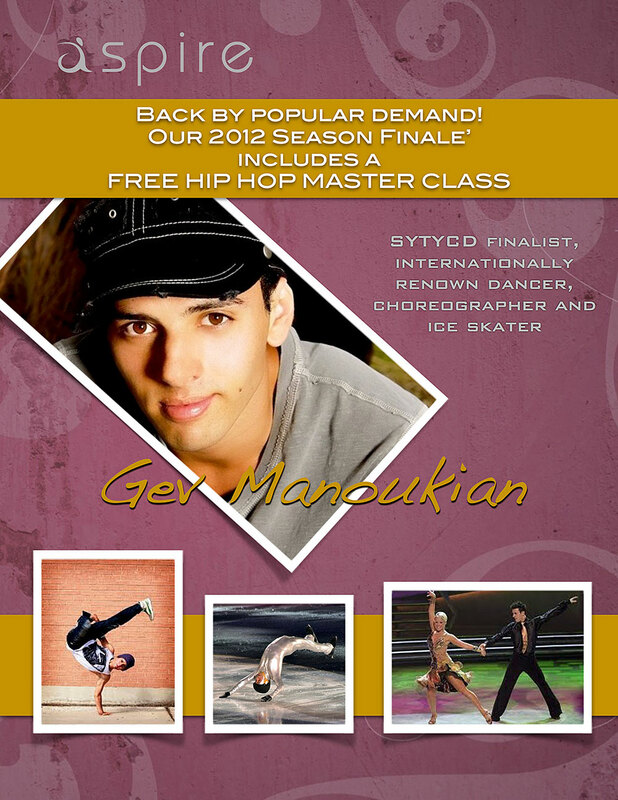 Solo/duet/trio dancers and from Friday's competition and all team dancers are invited to attend the Master Classes free of charge.